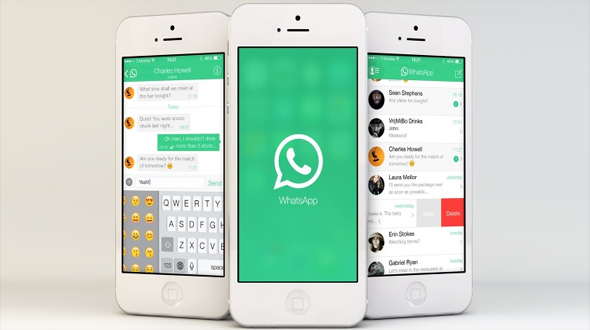 WhatsApp has recently released the update of document sharing (as of now only for PDF) for the users, and was about to release out the option to italicize or bold your text messages in Android, soon that is expected for iOS as well, meanwhile WhatsApp has released the new feature for iOS users. If you feel helpless with the lots of media (non-relevant) coming to your WhatsApp from different groups and getting downloaded on your device consuming data and memory of your device, then this new feature is made for you. This updated feature helps you to store media in the form of images, videos and audios based on specific contacts or groups, instead of the all or nothing approach that was followed earlier. WhatsApp for iPhone users now get the option to click on a group name or contact name and save incoming media in their image gallery. You get options such as Default (Off), Always and Never. Earlier, you could either save image/video data for all contacts/groups or none. The new feature lets you decide which photos and videos you want to save in your gallery, thereby reducing the clutter. Adding to this, WhatsApp has also released another new feature, which includes the ability to show missed WhatsApp calls in the app itself, rather than switching to “Recent Tab”, for the information. All these updates by WhatsApp seems to be planed in order to move towards using WhatsApp for Business and making it commercialized. Do share your feedback on this update in comment section below.